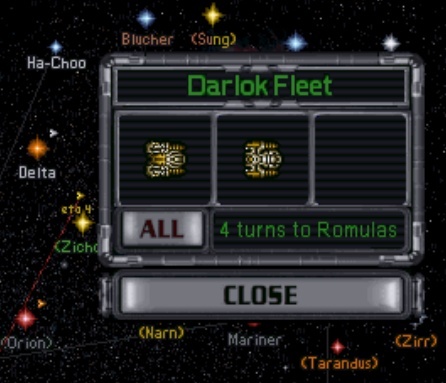 The ICE Mod for Master of Orion II is a new mod for the old game that aims to create a more challenging single player game. * All traits have been revalued for the Custom race design, using a 45pt scale instead of the old 20pt scale. * Much stronger a.i. races for Hard and Impossible difficulties. * Improved map generation and planets have higher pop. capacities. * Phase Shifter technology (re)introduced: a Sub-Space Teleporter variant. * Stealth Field has become a Class I Cloak; Cloaking Device is Class II Cloak. * The Phasing Cloak only lasts for 2 turns instead of 10 and then functions as a Class III Cloak. The Guardian and the Antarans have been strengthened. Tech tree has been rebalanced. Many, many texts have been reviewed and corrected, improved or beautified throughout the game. Edited by MOO2MOD, 14 March 2016 - 06:36 PM. It is a great mod. One of the 3 best I have played. So... does this mod work on emulated 95 systems? The Mod is based on the DOS version of the game. There also is a WIN95 exe for the classic MOO2 but that exe has been discarded by modding community due to some issues, the main one being bad multiplayer (too much lag). In short it means you need to use DOSBox to run the mod, so if you can get DOSBox to work on your emulated 95 system, then it should work. Edited by MOO2MOD, 18 August 2015 - 03:08 PM. This mod works on my gog version of MOO2 (dosbox based). I also recommend editing the ini file to help standardize starting systems and control things like #monsters. Good stuff. /WG, take note about how much the community wants to mod! Edited by MOO2MOD, 31 August 2015 - 08:57 PM. so anyone playing this mod right now? just installed bout to giver a trial run here..... how much does it change the "normal" difficulty level AI? is there supposed to be sound in this vid? I've been playing the ICE mod. Difficulty can get pretty hard for sure but still seems quite random. You can get things a bit more consistent by editing the ini file that gives home systems similar starts. The best changes are reduced effectiveness of battle pods (they were too strong...) and re-arranging of some tech trees positions to nerf creative a bit and remove some of the obvious choices. @MOO2MOD, can you explain the map files in your more recent update? Yeah there is no sound, which is a bit lame, perhaps I will do one with some comments in the future. Yeah, so BP now gives +25% instead of +50, and the removed space has been given to the base ships. The space of base ships has been increased by +20%, so total space remains unchanged. It does make Megafluxers more powerful tech though as its 25% bonus is now calculated on larger base hulls. ICE is a mod that progresses whenever I unlock new stuff in the code. A lot of work has been done in the past already by other fans, modding tools, disassembler analysis, bug fixes, etc. etc. And all of that without access to the source code. But a lot is unknown still unfortunately, and deciphering is a truly sloooowww process involving a lot of grunt work and a lot of trial & error. So in older versions of ice, the galaxies already had more planets than classic moo. But recently I found two tables that govern the planet types in the game. For the new ice iteration, I carefully modded it to generate galaxies (Avg. age setting) to have slightly more desert, tundra and ocean worlds and a little bit less toxic terran and gaia. Order of magnitude is that each type of desert, tundra ocean get 2/400 more chance to appear, terran and gaia each 1/400 less and toxic 4/400 less. Small but noticeable changes and perhaps favours Aquatic races the most. Valid values for # are 2-5. If you type a number outside of range it will default to 2. Multiplayers use a tool called 'CRYOGEN' to update their maps and make them more fair. I have never used the tool though because for single player games i like the randomness in galaxy gen.
Also I understand that for MP the GoodMaps3 by Siron is heaviliy used so I have included that in a seperate download for ice mod as well. Edited by MOO2MOD, 31 August 2015 - 01:02 PM. - where are battle pods now? im at deep core mining/dump and no battle pods? (only survival pods were in that section im using a creative race and none of the IA have battlepods either? - i see one race still comes out massively dominant over the other AI races is this changeable in order to have a more balanced see saw type battle through out the game? Edited by Summon3r, 31 August 2015 - 03:15 PM. - where are battle pods now? im at deep core mining/dump and no battle pods? - In strategic mode, a number of technologies do not play a role; i.e. battle pods, troop pods, assault shuttles, repair unit, etc. etc. - About the races; do you mean you see a specific race come out on top each time, or you mean just a -random- race comes out on top? * if you play on average: I have created 'new stock' races that I think still closely resemble the classic races but with some improvements or changes that enhance character. Generally this approach leads to unbalanced races. Edited by MOO2MOD, 31 August 2015 - 03:28 PM. awesome ty for the quick response!! i had turned off tactical combat just to quickly run through a game to see how the changes were and just on normal difficulty. great to see people still working on this game!! Sakkra can indeed be the runaway race quite often in Average diff. Klackon are strong too, with their +50% pop trait but they lack the Subterranean quality which makes the Sakkra so strong. Note also that the research penalty for Feudalism is -30% compared to classic at -50%, so Sakkra are less hurt in research. The Gnolam can be good too in Avg games, because they too live underground (I mean dwarfs build gigantic caves right.) and have +50% pop. hey guys is there anyway to delete STELLAR CONVERTERS from the game.... they are honestly the stupidest thing in the entire game.... like can i go into a file and just delete them out of the game all together? ok, haven't heard that one before. why do you think they are stupid? sure they can be removed from the game. but depending on your level of frustration I might be willing to search for a HEX hack to do it. I would use this mod, if it worked for the windows 95 version of the game, but sadly it doesn't. ITs the funny thing, in windows 10, MoO2 windows 95 version works flawlessly.